Bollywood actress Priyanka Chopra recently got married to Pop singer Nick Jonas in the grand destination wedding at Jodhpur. This marriage took place in two different Hindu and Christian rituals. The rituals of the marriage took place in Ummed Palace in Jodhpur. When the pictures of their grand wedding came out it was like a royal wedding of king and queen. The big question was how much Desi Girl spend on their grand wedding. 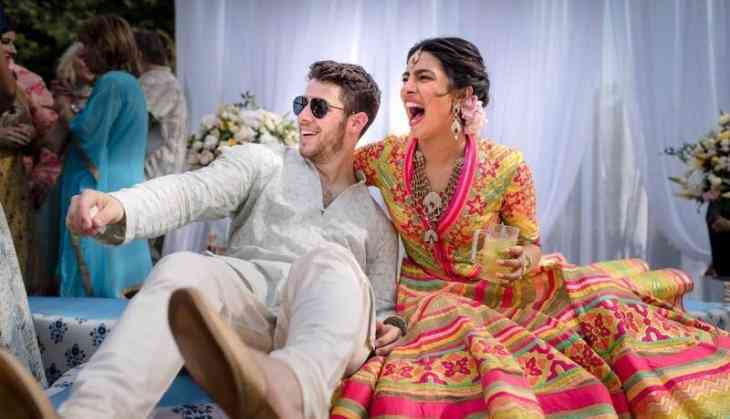 The destination wedding of Priyanka Chopra and Nick Jonas was literally lavish is many terms and more than 200 guests were invited in the big grand event. These all 200 guests were taken to Ummed Palace with a helicopter and for that, a special helipad was erected at Ummed Palace. The Ummed Palace was booked at the last 4 weekend days and for that, the couple spent 3.30 crores. According to an American website, more than 4 crores have been spent on their grand lavish destination wedding. Priyanka and Nick have total assets of 375 crores and in this case, spending more than 4 crores on their wedding is not a big deal for them. Both have not left any stone to make this grand wedding. According to TOI, almost 30 lakhs were spent on Hindi wedding only whether 43 lakhs were spent on the food for the guests. From Mehendi to Music to fireworks the all amount that were spent on their marriage was actually 4.13 crores. However, now the couple is soon going to throw a grand wedding reception party in Mumbai.